Photo credit: Adapted by WhoWhatWhy from Elvert Barnes / Flickr (CC BY-SA 2.0). And the winner of the 2018 Black Hole Award is … the Trump White House. Since 2011, the Society of Professional Journalists (SPJ) has yearly bestowed what it terms its “dishonor” on a government agency or institution that shows “outright contempt for the public’s right to know.” This is the first time a president and his administration have received the award. Black Hole seemed to be a recurring theme during Sunshine Week, an annual event marking the March 16 birthday of the nation’s first transparency advocate, James Madison. This year’s Sunshine Week seemed less like a celebration of Madison’s legacy and more like a wake. Granted, previous administrations have tried to control access to information and made it difficult for reporters to interview federal experts. 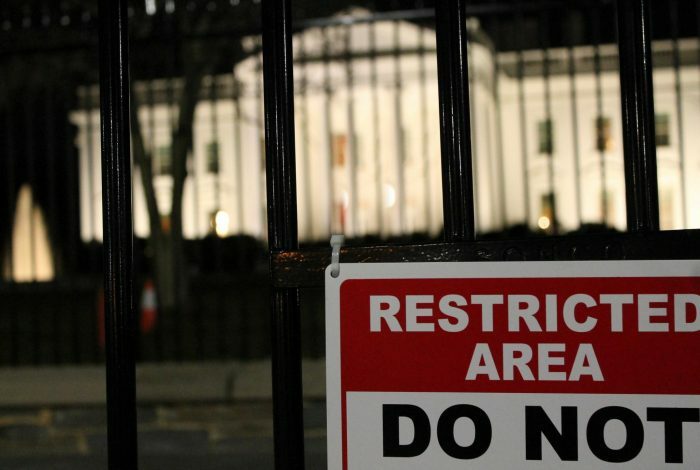 The Obama administration was widely criticized for restricting reporters’ access to agency staff and for using the Espionage Act to punish government employees who disclosed classified information to the media. But transparency advocates, former federal officials, and journalists last week warned that not only is the Trump White House doing even more to keep government in the dark and to gag federal employees, its penchant for darkness is affecting state and local governments and emboldening foreign despots to clamp down on press freedom. It is more difficult to obtain documents through the federal Freedom of Information Act (FOIA). A bipartisan congressional effort actually strengthened FOIA in 2016, with the goal of making it easier for reporters and the public to get access to federal documents. Nevertheless, reports the Associated Press, nearly eight out of 10 FOIA requests in 2017 were rejected or censored. That rate is the highest in a decade. FOIA is more necessary these days because White House and agency visitor logs and calendars are no longer routinely disclosed. But even litigation may not be enough to dislodge information. Despite a court decision requiring the Trump administration to disclose the names of visitors to the president at the Mar-a-Lago resort, the Secret Service claims it cannot comply because it has no system for maintaining any records of those visits. Scientists at federal agencies are feeling intimidated, according to panelists who discussed environmental transparency last week. 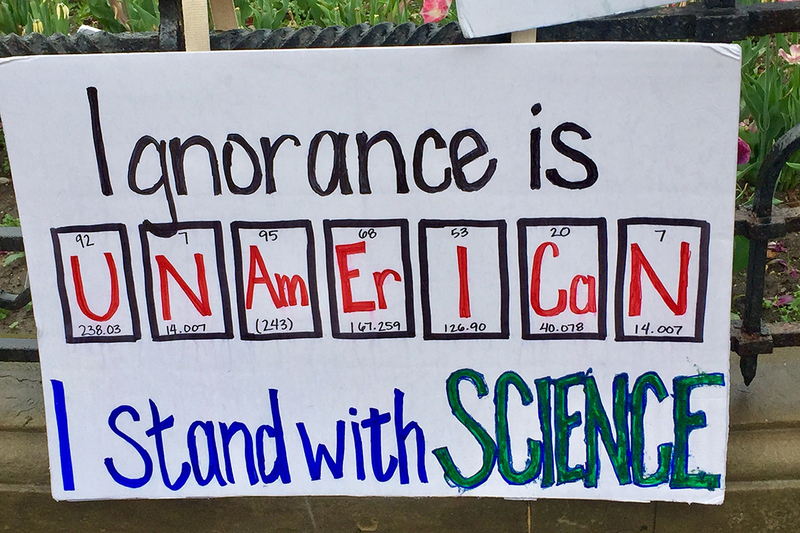 Scientists are wary of filling out even confidential surveys about their freedom to express their views at their agencies, said Genna Reed, a policy analyst at the Union of Concerned Scientists (UCS). Since 2005, the nonprofit, nonpartisan group has periodically surveyed scientists at more than a dozen federal agencies; the UCS then publishes the results, which do not include personal or identifying information for any respondents. This year, she said, the response rate has been lower, particularly at the Environmental Protection Agency (EPA). The response rate at the EPA generally had been about 20 percent, Reed said, but this year it’s hovering at about 2 percent. In EPA efforts to revise the information on the agency’s Obama-era climate change website, access to other data was compromised, said Andrew Bergman, policy director for the Sunlight Foundation’s Web Integrity Project. “State, local and tribal resources are much harder to access,” he said. Also missing are links to fact sheets and other resources that used to help local and state officials deal with problems like flooding after hurricanes and how to contain toxic superfund sites after floods. 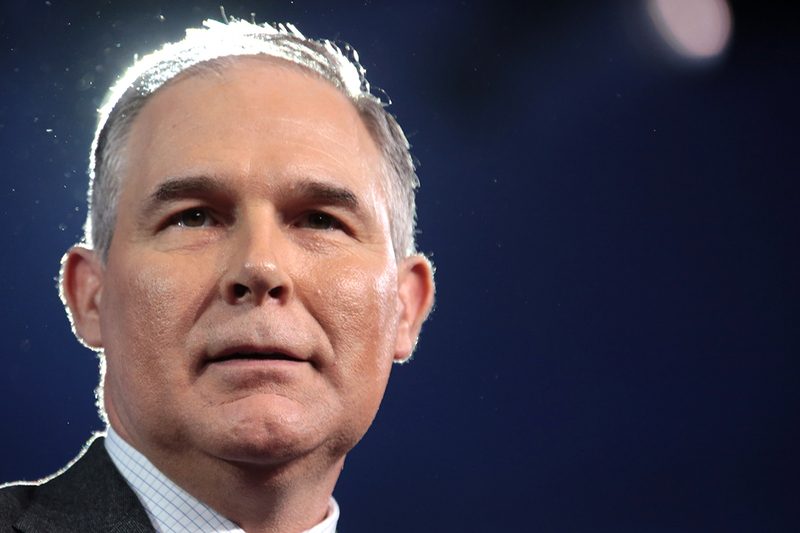 Pruitt is also shutting out other voices as he moves forward his agenda. Advisory boards of experts formerly helped EPA develop regulations and policies, Southerland said. But Pruitt changed the eligibility rules for experts, denying positions to any scientist who is currently receiving a grant from the EPA. Pruitt said his new policy would ensure that scientists would have no conflicts of interest, but critics charge that Pruitt has no qualms about approving EPA advisors who work for industry or state governments, both of which are directly affected by EPA’s regulations. Academicians on the boards have largely been replaced by state and industry scientists, Southerland said, depriving the agency of valuable guidance. Journalists who discussed press freedom at an event sponsored by the National Press Club’s Journalism Institute saw a mixed impact from President Trump’s attacks on the media. But that’s not the case for reporters overseas, Sawyer added, noting that “authoritarian leaders are combining Trump-style rhetoric against the press with actual attacks.” In Poland, he said, leaders are “asserting government control of public media”; in China, the government is expanding censorship; in Slovakia, “a crusading journalist” was murdered; and in Myanmar, Reuters journalists covering crackdowns against the Rohingya minority were jailed and arrested. And while the New York Times and the Washington Post might have the resources to dig up information the government wants hidden, things are different for smaller news outlets. State and local reporters are working in “a tense environment,” charged Miranda Spivack, who spent months investigating how states keep government information secret. “Local politicians are also using the term ‘fake news’ to deride journalist stories that they don’t like,” Spivack claimed. Consider what happened recently to veteran journalist Jo Mannies, who covers Missouri politics for St. Louis Public Radio. Mannies and other journalists were barred from several forums and a major dinner at the Missouri Republican Party’s Lincoln Days event this year. “I had never seen that in 28 years covering state politics,” Mannies said. Being excluded from so many sessions blocked her from informing the public about crucial state issues, she said. (Republicans control the statehouse and the legislature.) She also complained about unresponsive agencies and a press office within the governor’s office that fails to answer her calls. 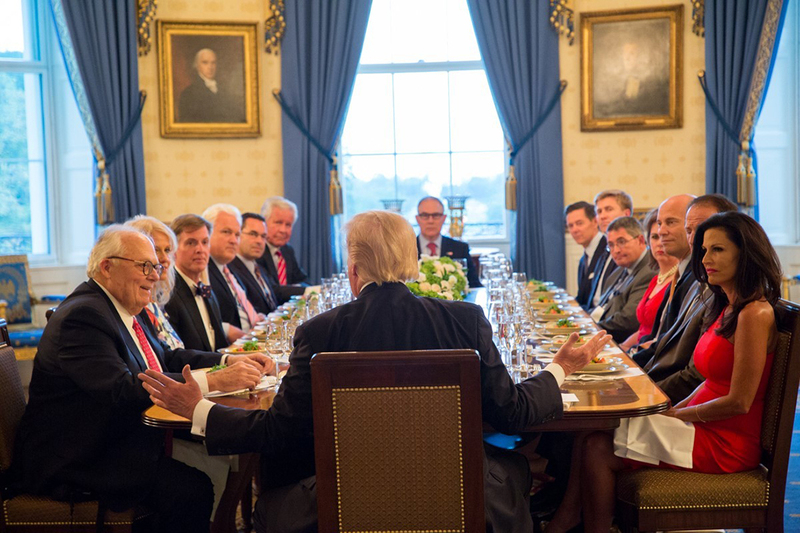 Related front page panorama photo credit: Adapted by WhoWhatWhy from The White House (Svante Adermark / Flickr – CC BY-NC 2.0).